Cost: Dinner is pay-your-own-way at The Yale Club. (If you aren't a member you can pay cash or use Venmo to the Host). Please CANCEL if your plans change. Join us for a small gathering over dinner to get to know current Yale students and recent grads - the first event of a new Yale GALA, Inc. series. For our inaugural event, we will be dining with rising Yale Junior, Adam Hasban, who made his way from Syria to a high school in the West to Yale. Adam will talk to us about his journey, including getting asylum as a gay man in the USA, and his time at Yale. Dinner is pay your own way. 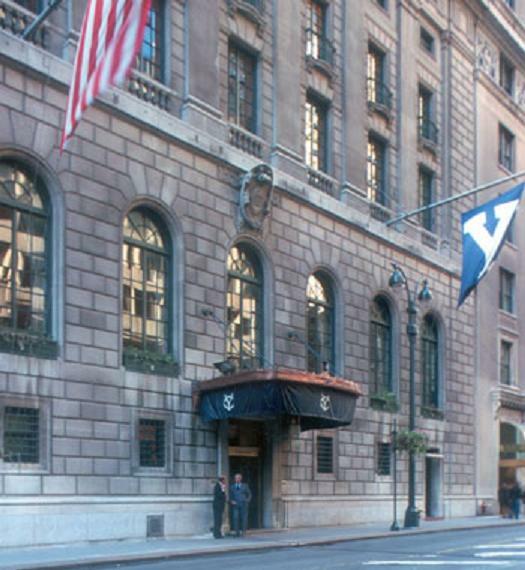 (If you are not a member of the Yale Club you can pay cash or use Venmo to the host; appetizers range from $6 to $20 and entrees from $17 to $49; wines by the glass $9-$16; tax and 18% gratuity are added to the bill). Dinner spots are very limited so that we can have an intimate conversation.